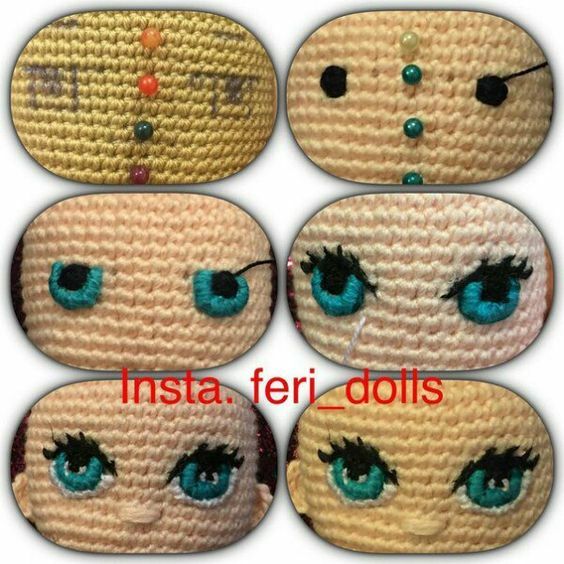 I don’t crochet Fan Art dolls often, but every once in a while I like to challenge myself with a project that involves characters I love from movies, video games, or books. Last week I got inspired, and decided to try my hands on a Tinkerbell, the beloved fairy from Peter Pan. When I said I like a challenge, I wasn’t joking. It took me three weeks to make her, with trials and errors, and even though I am very happy with the results I would modify a few things on the pattern if I was to crochet something similar. The two challenges I encountered are the facial features, and the hair. I really wanted to give her eyes an almond shape but I wasn’t sure how to proceed. At first I wanted to make them just using felt, but I changed my mind and insted used a pair of 12mm blue safety eyes, white felt for the shape, and black felt for the contour. I added some plastic eyelashes to make her look more girlie. I feel that the eyes are a little too big, but it still look cute. I don’t know why but I always thought that Tinkerbell had her hair pulled back in a bun, that tells you how much I pay attention to detail! She definitely have a bun, but the rest of her hair is shaped into a pixie cut style. I was tempted to crochet a wig to put on her head, but I opted for strands of yarn instead.. Lots of them! I did crocheted the bun however, which I embroidered afterward with yarn. The wings on her back are very simple, I used double crochet and treble that I worked around a chain. I sprayed them with starch to keep them from flopping over. I will upload a tutorial next time if anybody is interested, they are very easy to make. Voila! This was my attempt at crocheting a Tinkerbell. I learned a lot from it, and even though she is not perfect I still like her a lot. 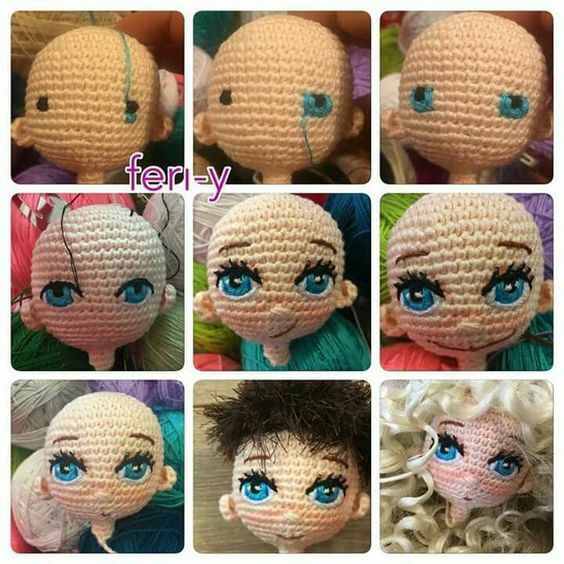 Practicing crochet on characters that inspire you is a lot of fun, it helps you improve your skills and gives you inspiration.